The Economic and Financial Crimes Commission (EFCC) has announced that it has recovered N794 billion from looters of the nation’s treasury. Also, the anti-graft agency said over $261 million, 8.1 millions euros and 1.1 million Pound Sterling had been recovered from corrupt Nigerians. Chairman of the EFCC, Ibrahim Magu, disclosed this, on Wednesday, when he spoke at a corruption symposium organised by the Rivers Unity House, in Port Harcourt, Rivers State. 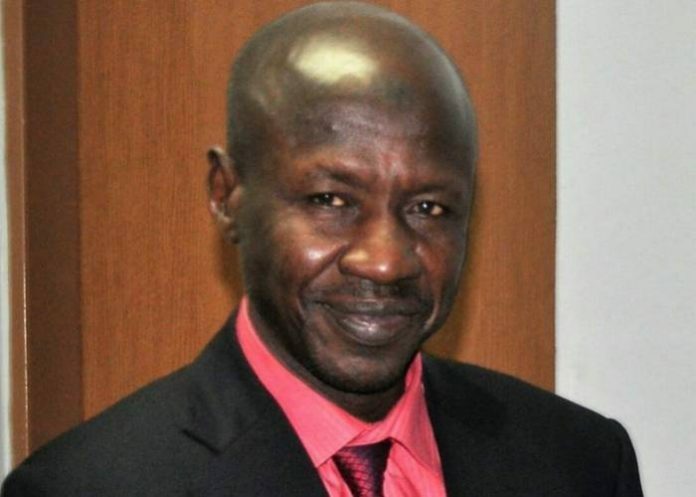 Magu, who was represented by the Commission’s Head of Operations, Usman Muktar, informed that the anti-graft czar had secured 703 conviction. According to him, the feat was recorded between 2015 till date when the President Muhammadu Buhari-led government came on board. Magu said, “It is on record that about 90 percent of all the recovery in Nigeria is through the EFCC. “Between November 2015 till date, we have recovered over N794 billion; we have recovered over 261 million dollars. “The pounds sterling recovered stand 1,115, 930 million. Euros recovered within the period under review is 8,168,871.13″. He added that hundreds of property such as filing stations, petroleum products, landed property, jewelries, automobiles, and many others, have been recovered from corrupt Nigerians. Speaking further, he said, “The EFCC added that 407 mansions were also seized by the Commission and 126 were forfeited finally to the Federal Government, while 281 are under forfeiture. “We have been able to secure conviction between 2015 and 2018. We have been able to secure 703 convictions. “The breakdown is as follows: in 2015, we have 103 convictions; in 2016, we have 194 convictions; in 2017, 189 convictions. He said the Commission has not been able to collate the report for 2018, urging Nigerians to join in the war against corruption in the country “because it is everybody’s fight”. Also speaking, Festus Keyamo, a Senior Advocate of Nigeria (SAN), noted that the nation’s problem was neither religion, nor tribalism, but corruption which was a dividend of long time bad leadership. Keyamo, who was among the discussants at the symposium on the topic: ‘Leadership, Good Governance and Nation Building’, identified corruption as an issue and the nation’s development challenges. He declared, “Our problem in this country is corruption. It is no religion; it is not tribalism. “Politicians cross-carpet is because they are looking for a safe landing that would give them coverage. “Whether it is from APC to PDP, or the other way round, it is because they are looking for recognition. “Politicians are united in corruption. Any politician that does not make fight against corruption an issue, is not sincere to the followers. “The problem has always been lack of prudent application of the resources. And the corruption we are fighting today, started long ago. Corruption did not start today. “Nigeria is facing a great crisis and that is what we are suffering in the country. There should be leadership by example and this is lacking in this country. This is the crisis that we are having in this county today”, Keyamo stated. He admitted that “small corruption” is existing in the administration, adding that President Buhari’s government has been able to eliminate “grand corruption”. “Nigeria has created a society where there is no equilibrium. We have to create a sane society whether we like it or not”, he stressed. In his remarks, the governorship candidate of the All Progressives Congress (APC) in the State, Tonye Cole, noted that Nigerians have been tagged globally as corrupt people. Cole said corruption has distorted the progress of the country and there was need for Nigerians to think about how to tackle the perception of corruption in the country. He said, if those in authority could make life easier for members of the public, there would not be need for people to foster corruption in the society.